We are highlighting the projects of our 2018 #EYLeaders who work in service of young people. Tanzil Ferdous of Bangladesh, 24, actively works towards youth and community development and women’s rights in Bangladesh, while simultaneously challenging traditional gender norms in her country. 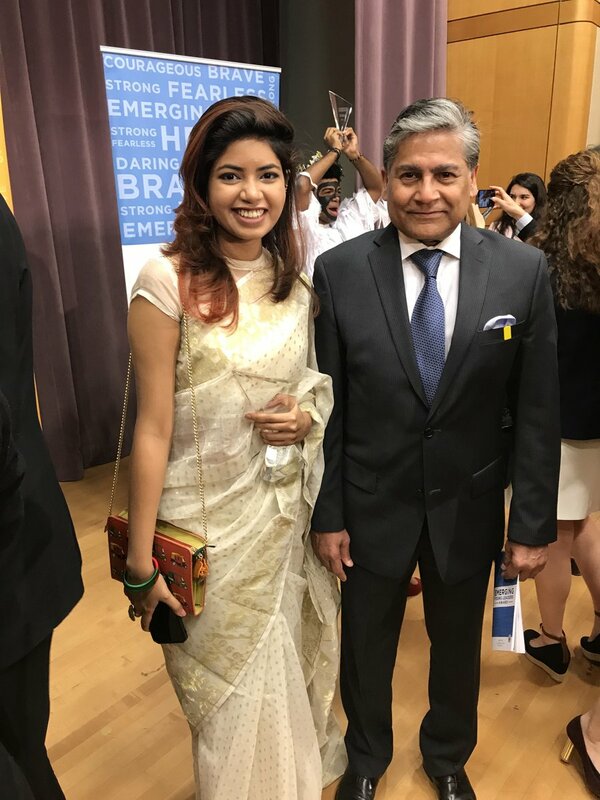 As the President of Volunteer for Bangladesh, Chittagong in 2015—the largest platform for youth volunteerism in Bangladesh—Tanzil organized numerous successful events for community development, engaging hundreds of youth in volunteerism. She believes that if youth are engaged and motivated to do community service, they will be deterred from extremist activities. Currently, Tanzil is working with the Rohingya refugees in Bangladesh, to help them not become victims of extreme violence. Her work has helped support a safe space for 500 refugee children with the JAAGO Foundation in the Rohingya camps. Tanzil’s mission is to empower adolescent girls and women, to bring them to leadership positions through capacity building and strengthening them to become the leaders of tomorrow. Ece Çiftçi of Turkey, 24, started her path of social responsibility at the age of 14. While attending a conference, she became acutely aware of the fact that so many students lack confidence and get very little social and emotional education in schools. Her first experience delivering workshops for peers took place in Eastern Turkey with 100 children that same year. Ece then went on to study sociology and started a student club recruiting volunteers to provide trainings for more than 60,000 young people in the field of social responsibility. Ece crowned her studies, which she initiated in the field of social enterprise, by founding the company Sosyalben Academy and Counseling. SosyalBen originated in Istanbul and now involves 350 volunteers in total from its 10 domestic and 5 foreign representative offices. Ece is currently studying for a master’s degree in management of non-governmental organizations. Sara Abdullah Abdulrahman of Iraq, 21, is a rising leader from Kirkuk, Iraq and a motivated social activist working with a number of organizations and institutes on peacebuilding, child protection, and women’s rights. Sara is a leader and co-founder of Kokar—the Kirkuk based volunteer group promoting peace and community engagement. Sara’s leadership helped the young people of Kirkuk to avoid division and provides a good model to local leaders of youth engagement. Her efforts helped strengthen peaceful coexistence and allowed for the safe return of internally displaced persons. 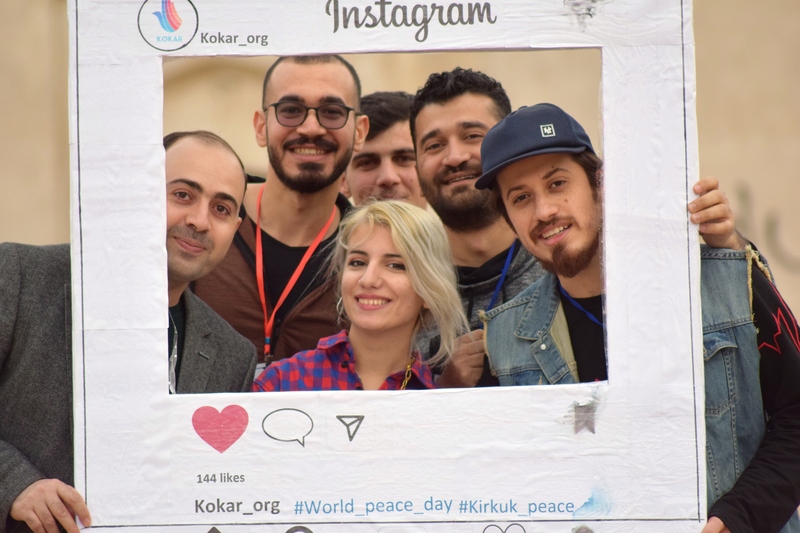 Kokar is a successful example of promoting tolerance among people with different backgrounds in one of the most difficult environments in Iraq. Currently, Kokar has more than 500 active volunteers, including 50 professionals and expands up to 1,000 youth volunteers during service events. These young people from diverse backgrounds are all unified by their desire to serve their community and promote tolerance and coexistence. Dania Hassan of Pakistan, 18, seeks to raise the quality of education throughout Pakistan. 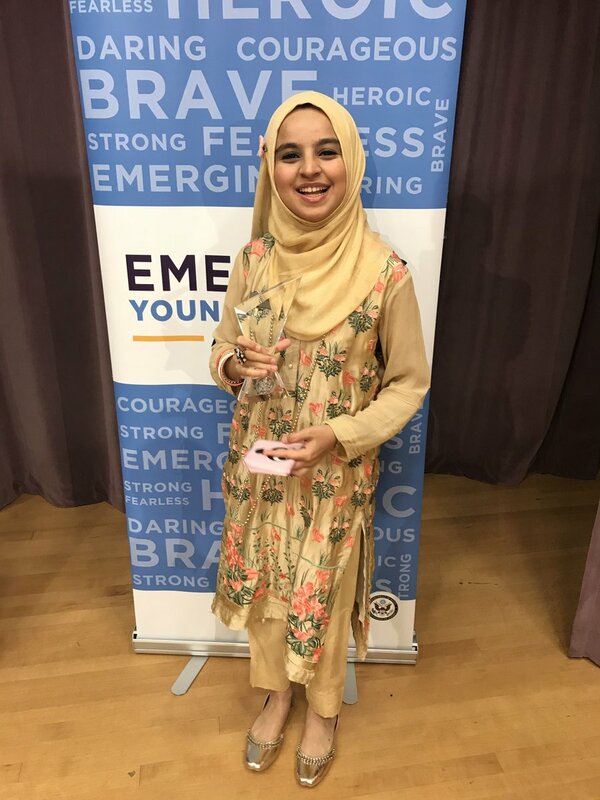 After attending summer school at Johns Hopkins University via the U.S. Summer Sisters Exchange Program in 2016, Dania established an organization called “Fun to Learn,” through which teams of volunteers conduct extracurricular programming in underprivileged schools. Dania and her team discuss pertinent topics regarding Hygiene and Health; Environmental Awareness and Going Green; School Safety; and Emergency Preparedness and Self-Defense. Dania has won various speech competitions, including first prize at the All Pakistan Bilingual Declamation Contest in 2017 and hopes to one day join the United Nations. She is the youngest high achiever of the Pakistan-U.S. Alumni Network’s #30under30 series. Dania plans to enroll in university in the fall of 2018.